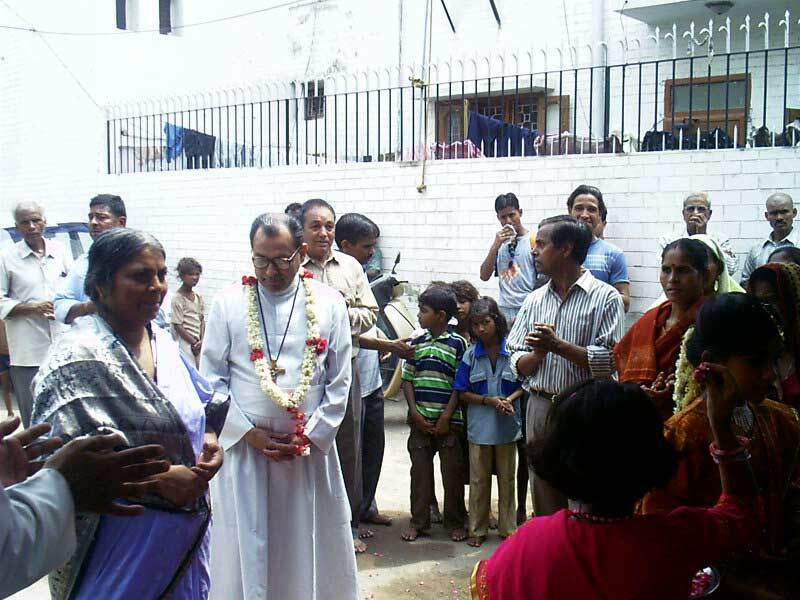 On July 6, 2004 Jeevan Dham completed its 13 precious years in the service of the poor, the needy, the sick and the dejected. 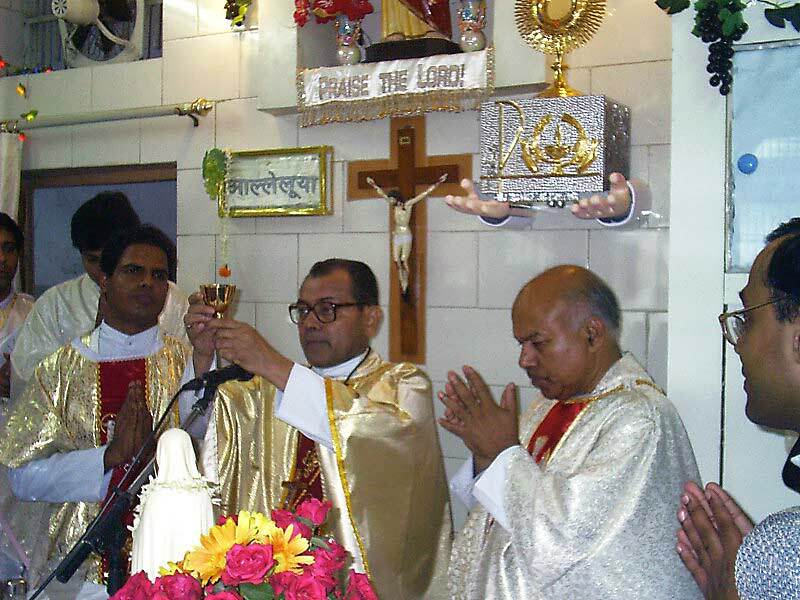 To celebrate this joyous occasion, the Archbishop of the Delhi Archdiocese Most Rev. 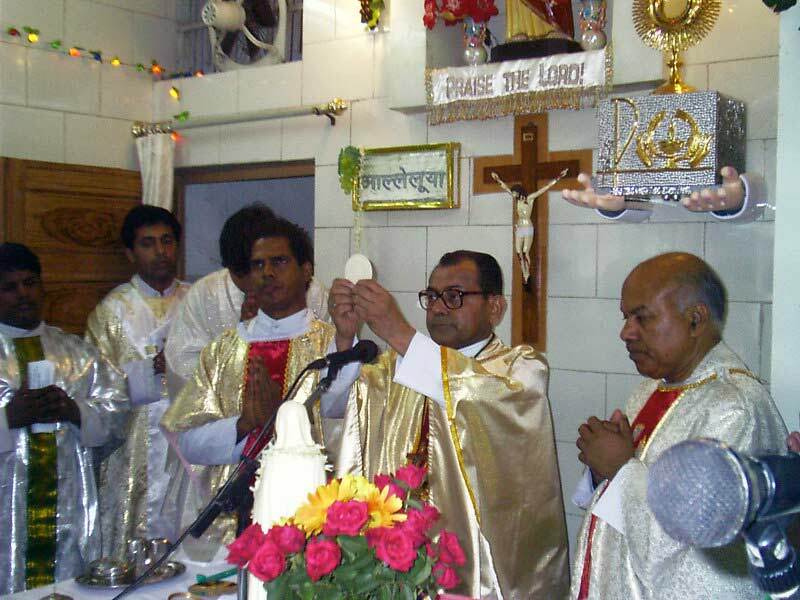 Vincent M. Concessao was invited to offer a Thanksgiving Mass for JEEVAN DHAM. By 10:00 a.m., a large crowd from far and near gathered to share in our happiness. The Archbishop arrived at 10:30 a.m. and was welcomed with flowers and dance by small children. 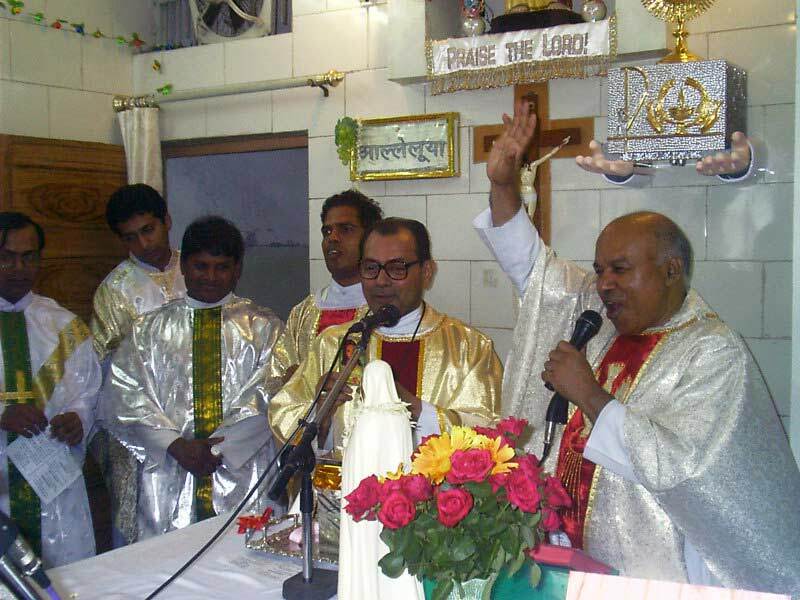 Other priests from different parishes in Delhi and Faridabad joined His Grace in this celebration. The nine concelebrants  Rev. Fr. Christopher (our Asstt. 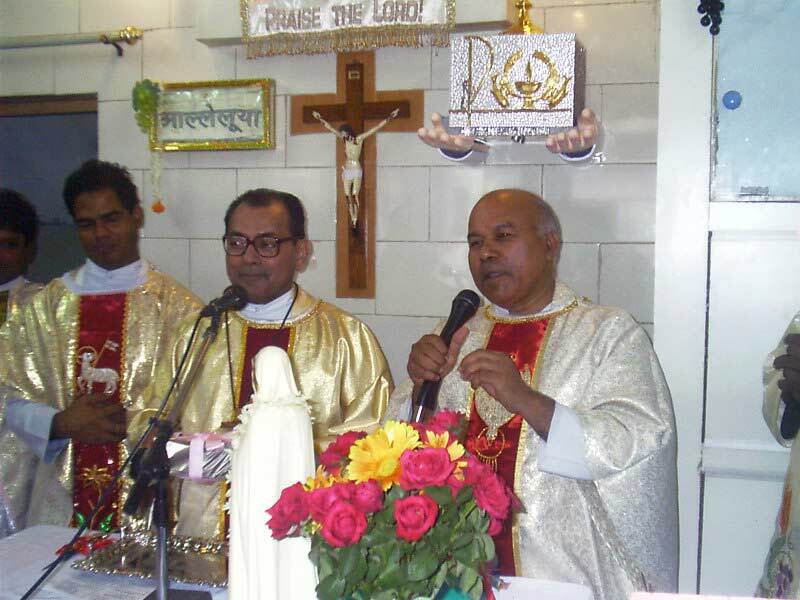 Parish Priest), Rev.Fr. Anthony Francis, Rev. Fr. 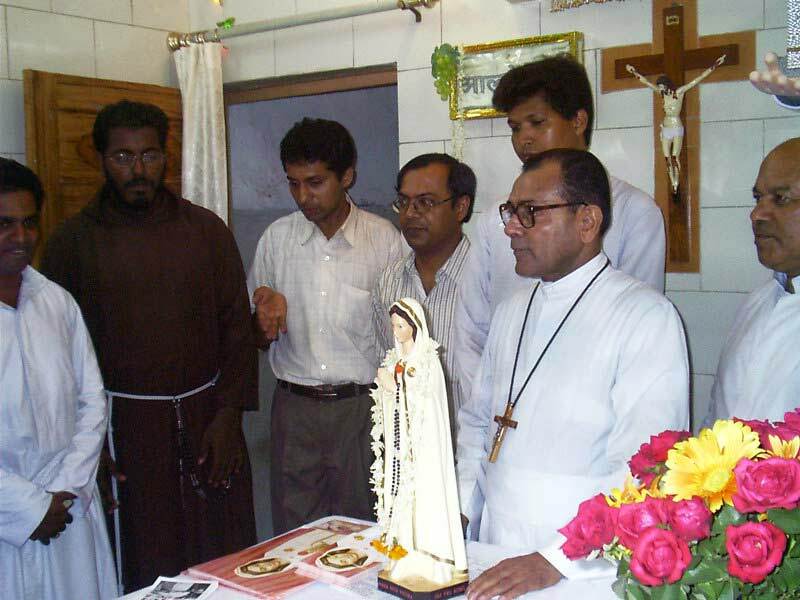 Albert Francis, Rev. Fr. 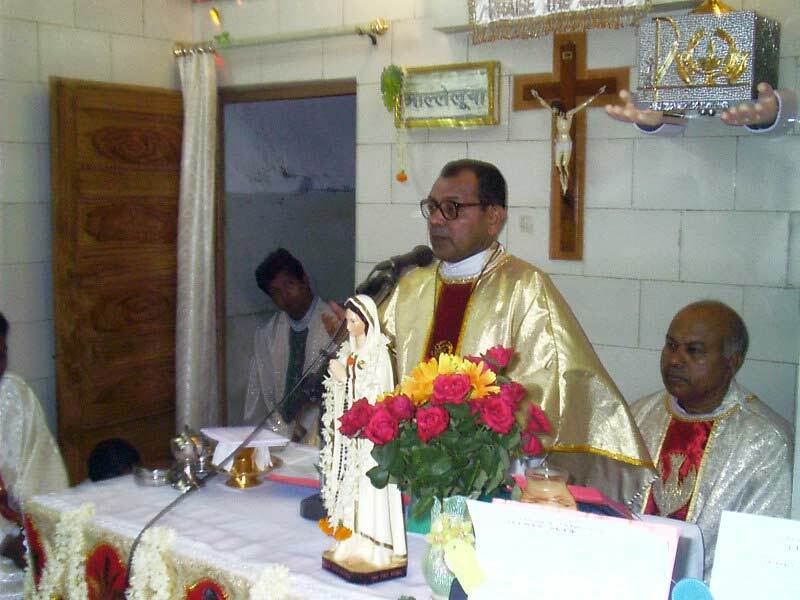 Arnold David, Rev. Fr. Benedict Francis, Rev. Fr. Matthew Koyickal, Rev. Fr. 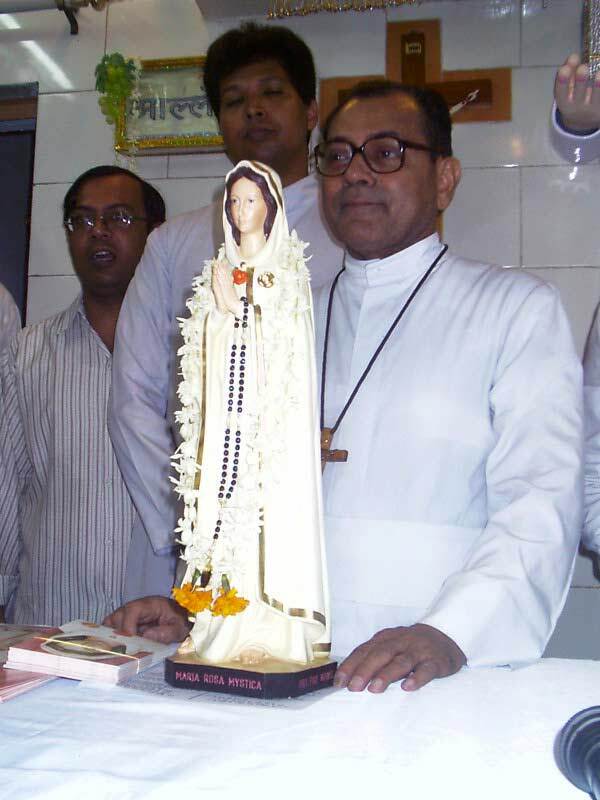 Maxim Pinto, Rev. Fr. 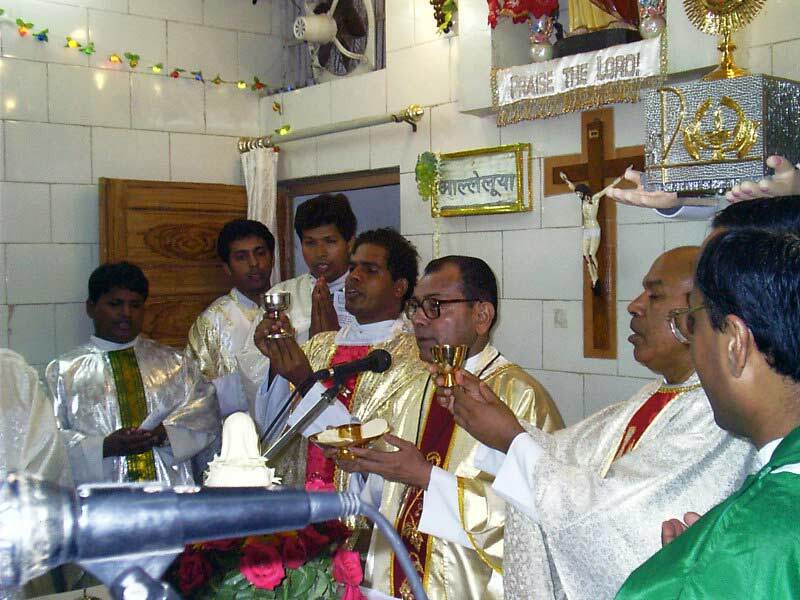 Thomas Chambakatt and Rev. Fr. Thomas (O.F.M. 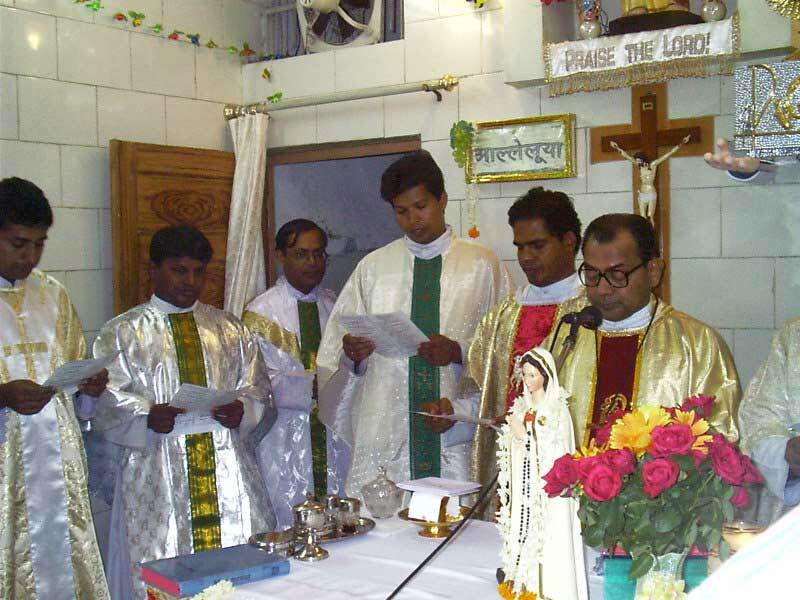 cap) gathered around the altar along with the Archbishop for the Holy Mass. His Grace gave a thought-provoking and enriching homily stressing on the role of men to help and love their fellow beings and exhorted to all believers in Christ to proclaim the message of truth, peace and joy to all in this hostile, insensible world. On the basis of the Gospel taken from St. Matthew 9:32-38 His Grace threw light on the plans of God, our Heavenly Father, who is all loving and merciful. He clearly pointed out the faith that made people to follow Jesus and admire His work on one side and the stubbornness and hard-heartedness of the Pharisees on the other, who baselessly accused Jesus and always questioned His authority. The Pharisees thought that just by following the law and the rituals, they would earn salvation. But actually, due to their pride, prejudice and hypocrisy, they were far away from the promised salvation. Their eyes were so blinded by their own ideas that they could not see the truth and power of God in Jesus Christ. 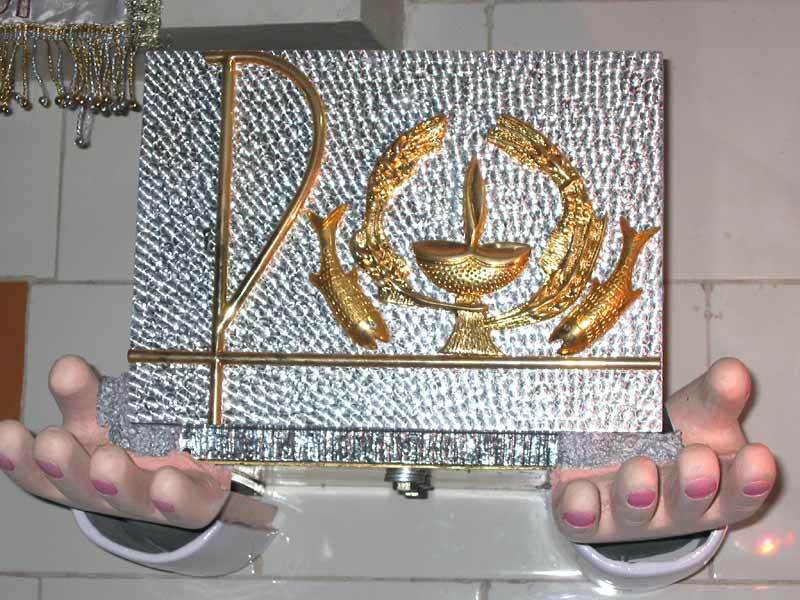 The more they exalted themselves before men, the more they became an abomination to God. As Jesus became famous among the people due to His striking teaching and outstanding miracles, these Pharisees became jealousy of Him and tried to trap Him in His own words, yet they never succeeded in outwitting Jesus. He encouraged everyone to become strong believers in Christ who can always put complete trust in God in all situations of life keeping in mind the fact that whatever God does for us will be for our benefit. 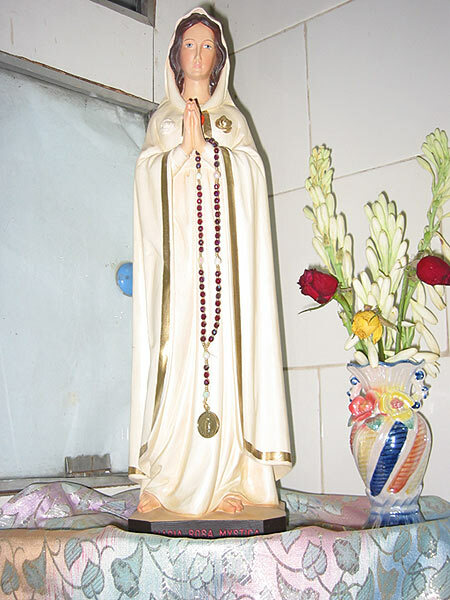 His Grace added that we should be always thankful to God for whatever we are and all the graces we have obtained. We should work according to the plan of God because His plans are always for our good and are well above our plans. Our loving God can turn what we think as evil or destructive into a graceful and holy thing, a difficulty or sickness or pain into a thing for His glory. He gives generously to all who ask in faith and wants everyone to inherit His heavenly Kingdom, to become His loving children. Jesus cured everyone during His ministry, listened to their prayers and preached the Good news of salvation to all without prejudice in order to fulfil His Fathers plan for them. Jesus looked beyond a disease or an illness or affliction, an opportunity to glorify His Fathers name and made others understand and experience the love and mercy that God has for His children. Similarly, we too should look beyond all our ailments and afflictions and use them as opportunity to understand and experience the love, mercy and generosity of God, an opportunity to preach the message of truth and salvation in Jesus Christ to all. If we always keep such an optimistic thinking and remain grateful to God for all His blessings and favours, we will always remain joyful and contented. This attitude will further lead us to give ourselves in brotherly love and service, in obedience to Gods commands thus making us His beloved children. There are still thousands of people who have yet to experience the love and mercy of God. They are struggling, ailing and weeping, lying crushed under their work waiting for someone to help and guide them to the true path to God, to His eternal life. And that is why Jesus said to His disciples, The harvest is great, but the workers are few. Therefore, pray to the Lord of the harvest to send out workers for his harvest. (Mt. 9:37-38) Jesus wants all men to hear the Good News, but they will never hear unless there are those of us who are prepared to cross the seas and the mountains and bring the Good News to them. If the harvest of men is ever to be reaped, then every one of us must be a reaper, ever ready to gather the harvest. 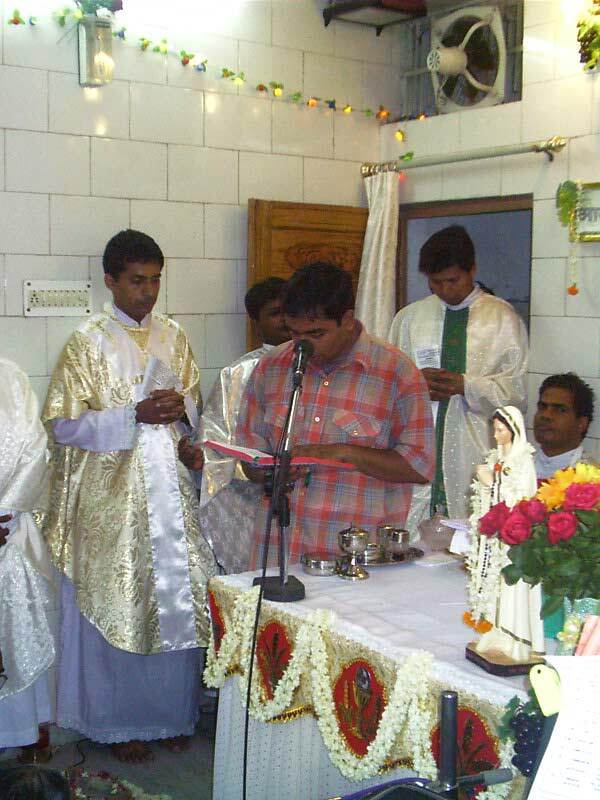 His Grace concluded his homily with a small prayer for the family of JEEVAN DHAM. He prayed that the good works and service may increase manifold and that many more people may come to know the true God, experience His true joy, peace and love through this family and all the volunteers involved. 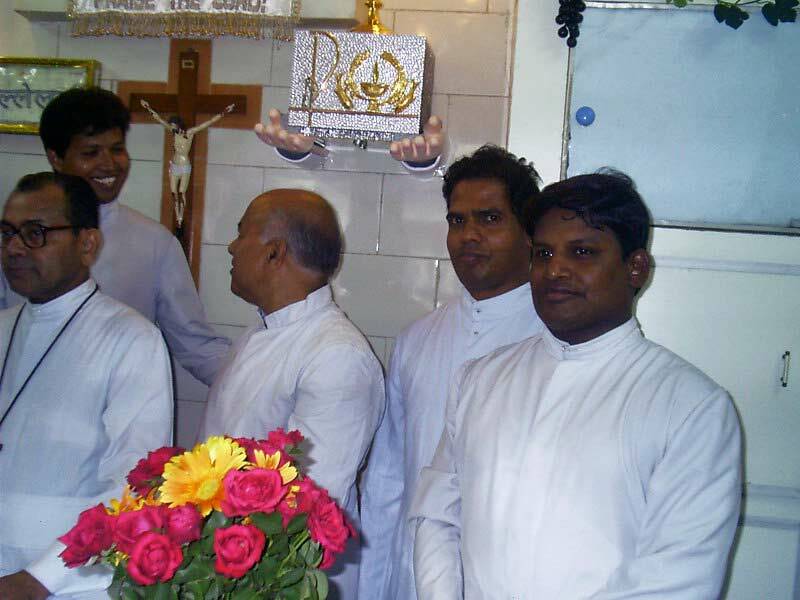 May all receive a new life in Christ through them, may they succeed in their service to God and men. 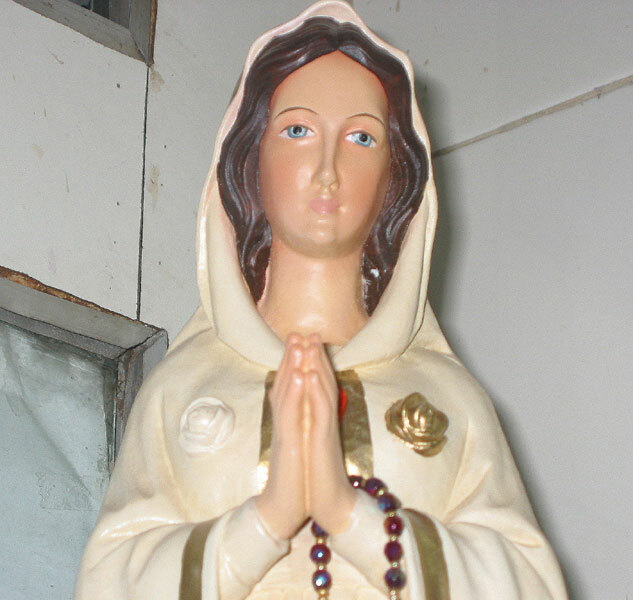 His Grace then read the prayer of blessing before the Communion Rite for anointing the Tabernacle, the Monstrance and the beautiful statue of MARIA, ROSA MYSTICA (Mystical Rose). 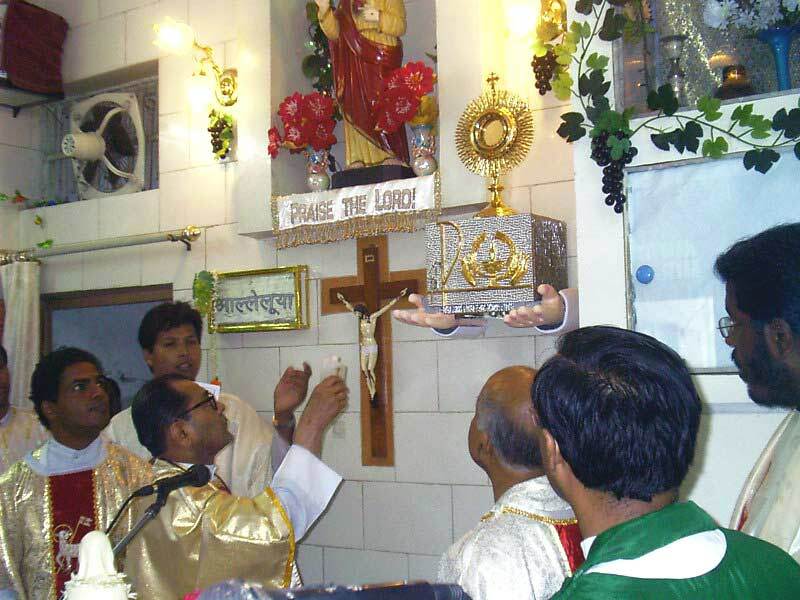 The recessional hymn, a new hymn written exclusively for JEEVAN DHAM, sung with a fresh and lively music brought vigour and zeal to all. The last and the important part of the programme left out was the release of the new audio cassette by JEEVAN DHAM. 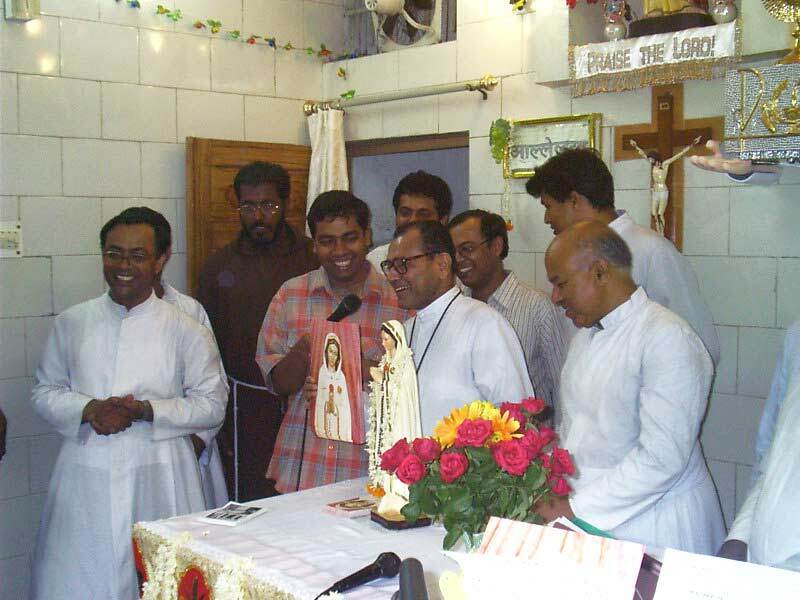 The Archbishop cut the packet of cassettes and opened it to show the new JEEVAN DHAM KE PHOOL Vol.3 cassette to all and later gave a copy to all the concelebrants present. 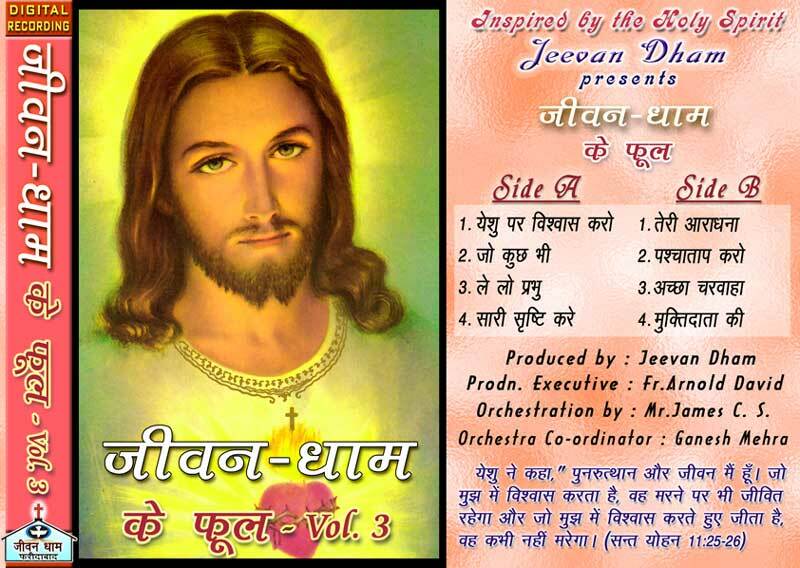 Written with the inspiration from the Holy Spirit, orchestrated by professional musicians, recorded digitally with the latest hi- technology and sung in a beautiful in-depth voice of the prayer group leader, the 8 meaningful songs (bhajans) of this cassette were really appreciated by all with a big applause and relished by the crowd when the new cassette was played for them. 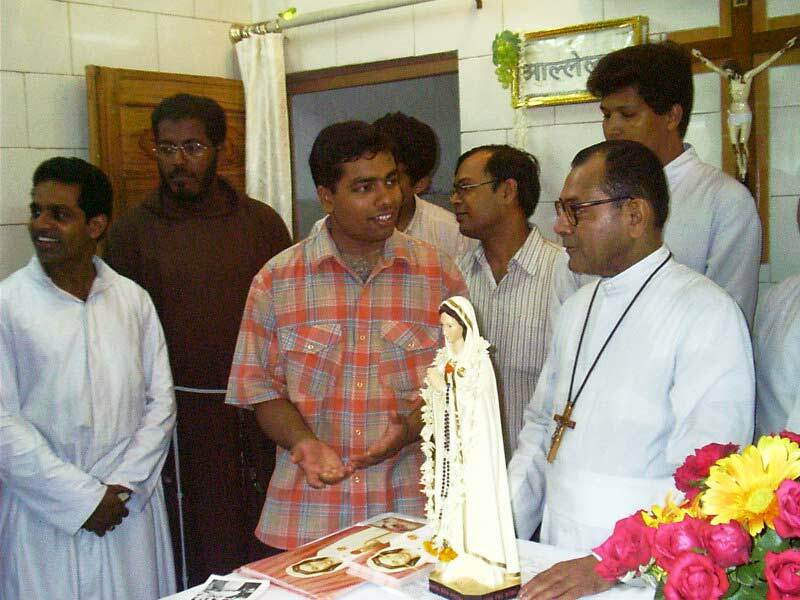 The Archbishop happily gave his blessings to all the believers present. Later, the concelebrants, along with the Archbishop and few sisters joined for table fellowship. We are thankful to Almighty God for all these favours we received on that day. We pray that more and more people may join us in prayer as 24hr. 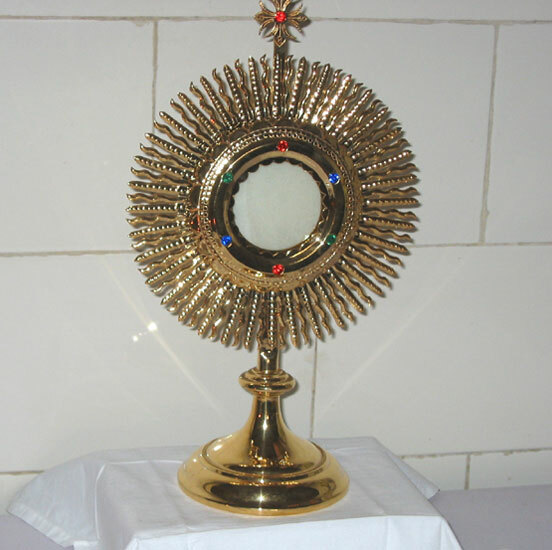 adoration is going on everyday for the past 10 months, that they may praise and glorify the name of Jesus through their words and deeds, and adoring Him in spirit and truth may they obtain heavenly graces and blessings, remain faithful and obedient to God, and moving towards perfection in love, joy, faith and wisdom become His beloved children to inherit eternal life in Heaven. PRAISE THE LORD!